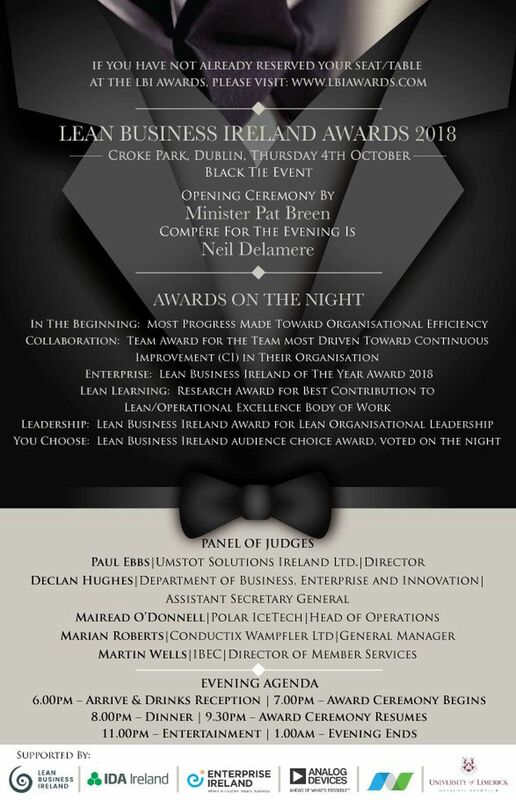 Team BDS attended the Lean Business Ireland Awards 2018 which took place in Ireland’s National Stadium Croke Park on the 4th of October. 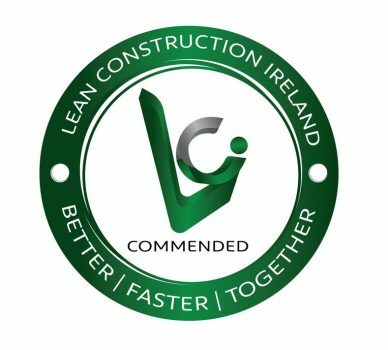 Primarily designed to recognise and celebrate Lean Enterprise Excellence achievements in Ireland, the awards ceremony was an opportunity to socialise and network with other Continuous Improvement Teams. 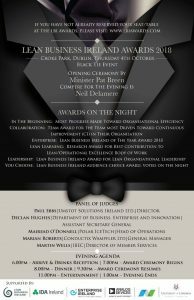 This inaugural event was very well attended, with the opening speech by Minister Pat Breen. Companies attending these awards came from a wide cross section of industries. The evening proved entertaining along with the opportunity to meet old friends and make some new contacts. Compere for the evening was Neil Delamere. Neil educated the audience on Lean 5-S principles as they relate to acceptance speeches: Short – Short – Short – Short & Short.